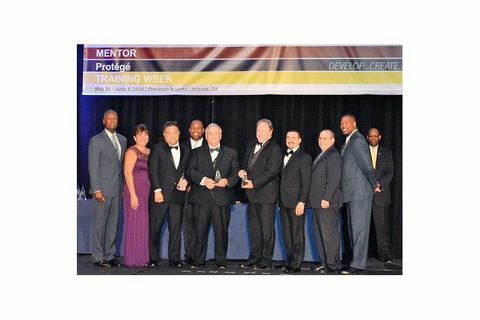 Orbital ATK Launch Vehicles Division and supplier Martinez & Turek, Inc. (M&T) were presented with the prestigious Nunn-Perry Award in recognition of outstanding performance in the Department of Defense's (DoD) Mentor-Protégé Program. The award was presented by both the DoD and the Missile Defense Agency (MDA). The Mentor-Protégé Program assists small businesses, or protégés, to successfully compete for prime contract and subcontract awards by partnering with large companies, mentors, under individual, project-based agreements. The Nunn-Perry award is presented to the foremost Mentor-Protégé teams that excel in the areas of technical assistance, returns on investment, quality and protégé development. The award is named in honor of former Senator Sam Nunn and former Secretary of Defense William Perry. The program was enacted into law in 1990 and is celebrating its 25th anniversary. 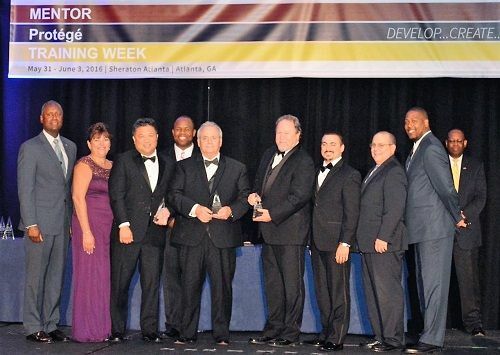 An award ceremony, attended by key DoD officials and industry leaders, was held in Atlanta, Georgia, earlier this month. Employees Bob Rusinek and Bill Labadie were in attendance to accept the award for Orbital ATK. In 2011, Orbital ATK developed a close working relationship with M&T, when the protégé provided the design and build of the transporter, erector, and launch ground support system for the Antares space vehicle. Orbital ATK is proud to participate in programs such as the Mentor-Protégé to demonstrate our support for DoD, MDA and the U.S. warfighter.